FBDM/MCAF is coming up, along with tabling [#72] i’m also hosting a workshop talk on comics this year! 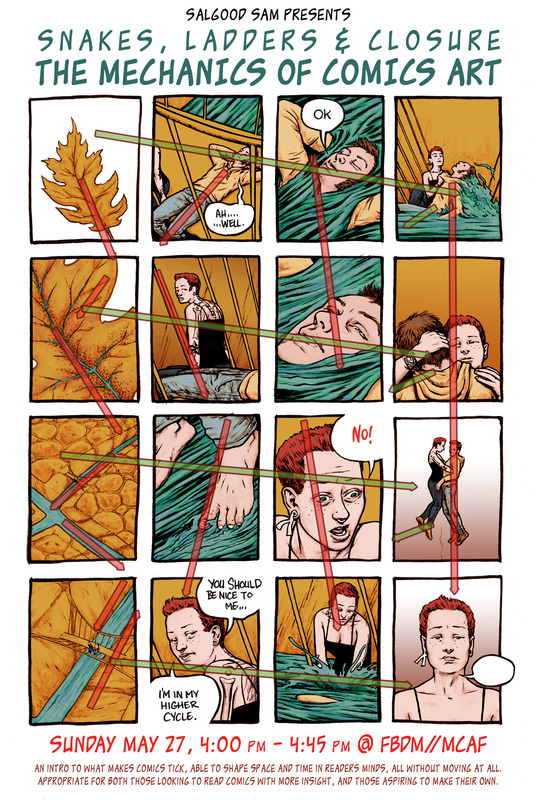 The mechanics of comics art. Sun 27th in the ‘studio’ 4pm-4:45pm. I’m going to try to record the session so I can post a clip of it on Patreon, though not sure if i’ll be able to pull that off. If you’re in town for the fest come say hello and make sure to remind me if you’re a patreon patron!